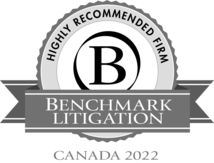 "As an articled student and now a junior associate, I have always felt that the firm is keenly interested in my development as a lawyer both intellectually and professionally. Not only does Lawson Lundell give its junior lawyers the space and tools to grow, it fosters an environment that is open to questions, promotes collegiality and pushes intellectual boundaries." 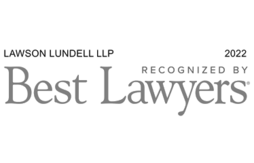 Throughout my time as an articled student and now as a junior associate at Lawson Lundell, one theme I have really noticed is the firm’s dedication to mentoring. Whether it be through the firm’s official mentorship program, guidance from more senior associates, or the truly open door policy of so many of my colleagues, it is very apparent that the firm is genuinely committed to mentorship. I feel confident that I can continue to grow professionally, and that I will have both the firm and my colleagues’ support no matter what direction my legal practice takes me. 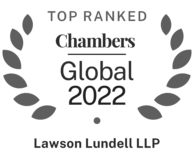 "Joining Lawson Lundell has provided me with exciting career opportunities and the support required to develop both professionally and personally. Professionally, through the firm's commitment to mentorship and ongoing professional development, I have diversified my practice and discovered new areas of expertise. Personally, I have witnessed Lawson's commitment to ensuring the firm is a welcoming environment for LGBTTQ members of the profession, which is further reinforced by our involvement with Pride at Work Canada and sponsorship of Pride events."